Autumn is officially here! I mean, the ridiculously warm weather tells me it's unfortunately still summer, but the calendar screams, "FALL IS UPON US!" So, hooray for that! I can almost see the leg warmers, boots, cozy drinks and pumpkin pie spiced everything off in the distance. MmMmmm can't wait! 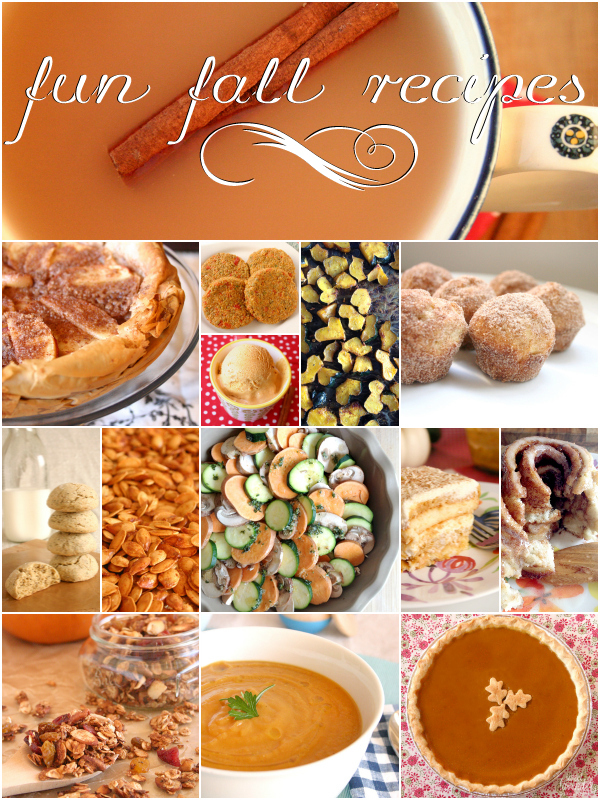 If you're like me, you already started pinning fall inspired recipes like, forever ago. Honestly, you never stopped. What can we say? We're lovers of autumn. 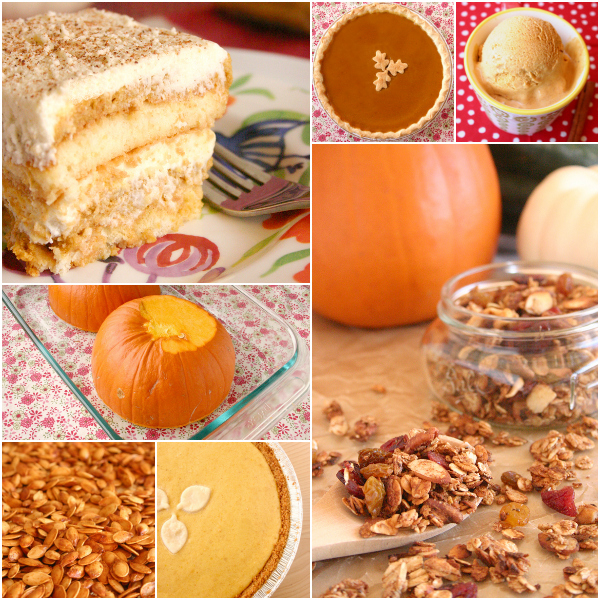 If it were up to me, it would remain cool and crisp, orangie and yellow, apple-y and pumpkinie, all year long. I'd never have to worry about things like sweating and sunscreen and bathing suits...ever. Although, I would throw spurts of warmth and amazing sun-shiney days here and there, because you know- that's cool. 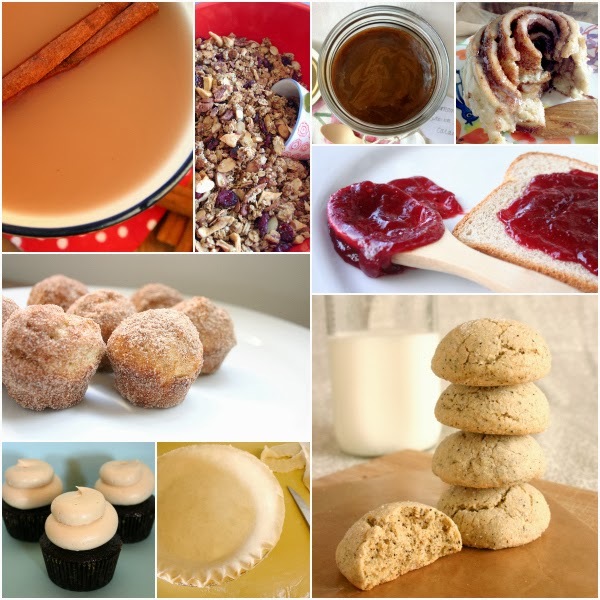 Anywho, here are some awesome (and yummy) Fall inspired things you might want to try! 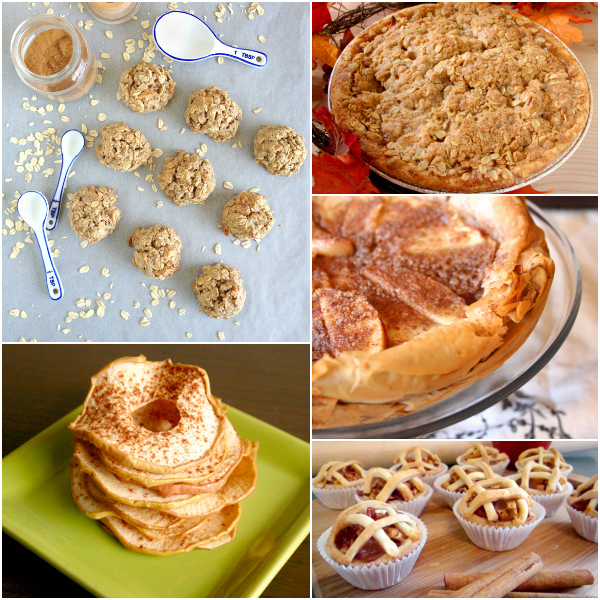 Basic pie crust "how to"
My brain just exploded with happiness! So excited about these! Fall food is by far my favorite. I look forward to it all year long! 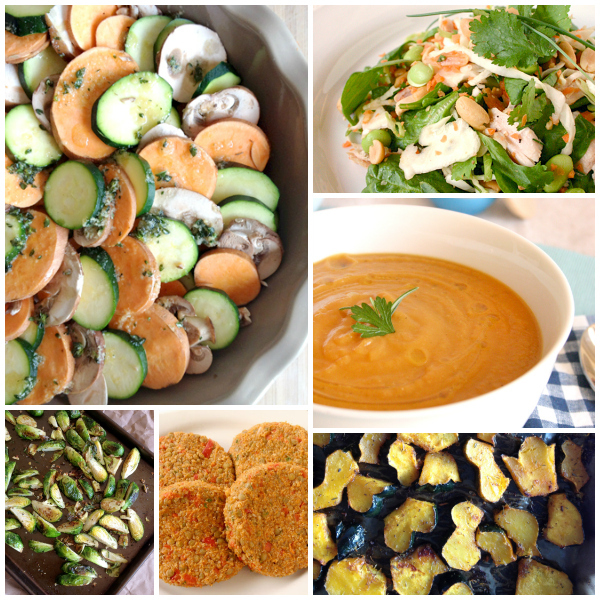 I am excited to click through these recipes and find some new favorites. Thanks for taking time to collect them all. I am here visiting via your ad on All Glorious Within's blog. Keep up your great work!! How did I miss this post?! Christina!! My heart... it's so happy it hurts!